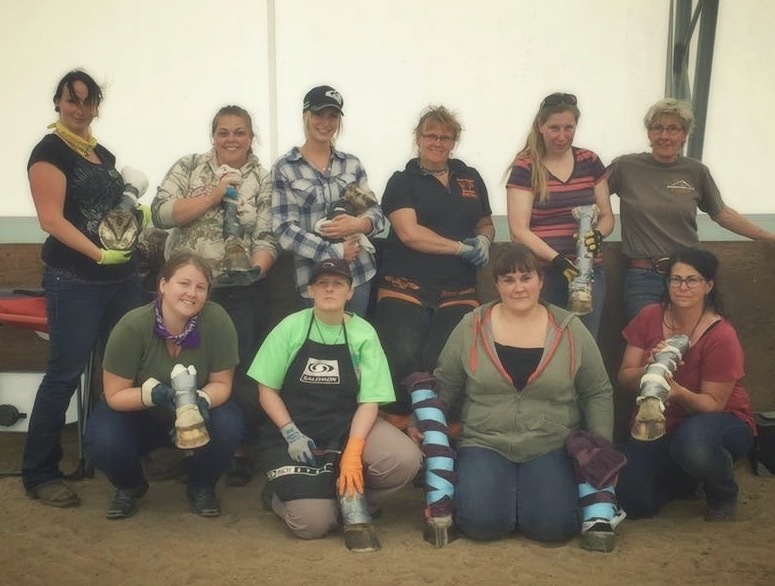 This hoof trimming clinic will give you the skills needed to confidently assess, evaluate and trim to achieve natural hoof mechanics and function based on each horse's individual conformation and hoof shape. You DON'T want to trim your own horse? No problem! Understanding how your horse's feet work, and the things you can do to safeguard their overall well-being and health is our goal. 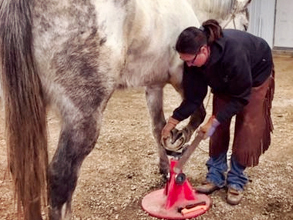 You'll be empowered to evaluate your farrier/trimmer and be a part of the solution for your horse's ongoing soundness. You DO want to trim your own horses? Then this course is perfect for you! This is also the right course for you if you have an interest in pursuing a career in barefoot hoof care. Participants can attend Saturday only, Saturday+Sunday or all 3 days. ⏰ Classes may run late depending on the amount of material to be covered. Included in the clinic price ➠ follow-up telephone/email consultations and textbooks. Once you’ve selected how many clinic days you are attending, and you’ve clicked ‘Add to Cart’ — fill out the registration form and you will then complete the payment process by clicking the ‘Shopping Cart’ button beside the sunset horse photo. ➜Other payment options like etransfer, credit card over the phone and cheque are available in the section below.⬇︎ You will fill out a special registration form if you do not wish to purchase through this page. Bring your horse. Max. 15 participants for full registration. Please stay tuned… we are working out details from our host and will update this information as soon as it’s available.